Much to my delight, Tricycle published an interview with Rev. Patti Nakai in their Spring 2013 issue. Reverend Patti Nakai, the associate minister at the Buddhist Temple of Chicago, grew up as a Presbyterian. Born in the Lakeview area of Chicago, to a Buddhist father and a Christian mother, she attended a church with a congregation that, like the neighborhood itself, was heavily Japanese-American. 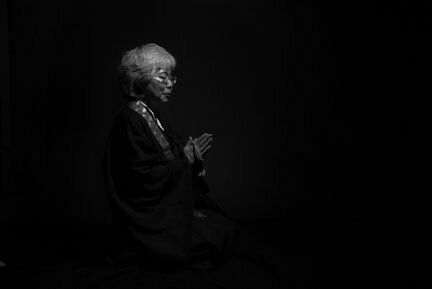 A third-generation Japanese-American herself, Reverend Patti began delving into the Buddhist side of her heritage while at the University of Minnesota, where she earned a degree in international economics and Japanese history and culture. After graduation, Nakai returned to her hometown to find that a staunchly conservative minister had taken over her childhood church. This change, coupled with a lingering heartbreak from college, led her to join her father’s old congregation at the Buddhist Temple of Chicago. If you follow me on Twitter, you’re likely already aware than I’m a big fan of Rev. Patti and her Taste of Chicago Buddhism blog. I’ve written about her before on this blog, including her comments on the Newton tragedy. You can even read her afterthoughts to the Tricycle interview. It’s a delight to see Tricycle shine a spotlight on someone who I consider such a committed, inspiring and eloquent Buddhist teacher.